This year we will be offering FREE family portraits by one of our church photographers, Leslie. Pictures will begin at 9:45 am. You will be asked to fill out an information card before your picture is taken. You will receive a digital copy of your portrait. This is our gift to you & your family. This is a great opportunity to bring the whole family with you to church! We will be taking photos before and after service. We hope you RISE UP this Easter and join us at Honey Creek Church! 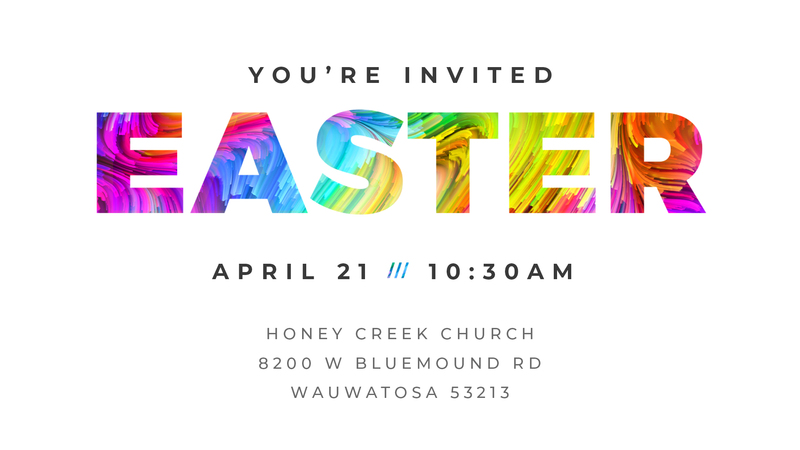 You can save the image below to use to invite people to come to church for Easter. We also have invite cards available at the Information Table for you to use to invite friends, family, coworkers, or neighbors. Click here to see our Facebook event.